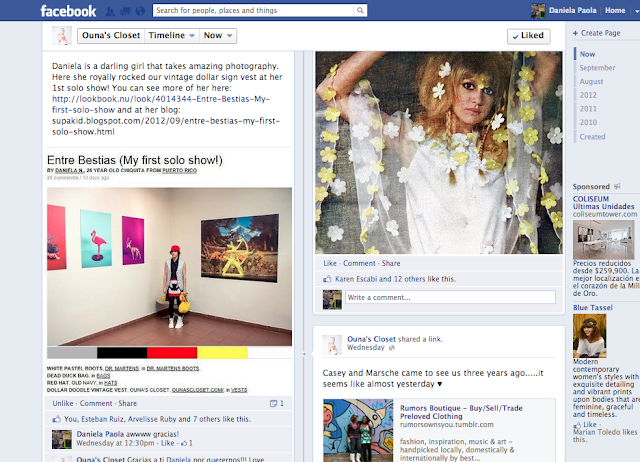 The lovely people from the vintage store Ouna's closet did a post about me up on their facebook page. I wore a doodle dollar sign vest at my first solo show "Entre Bestias". They have amazing stuff! Check 'em out!